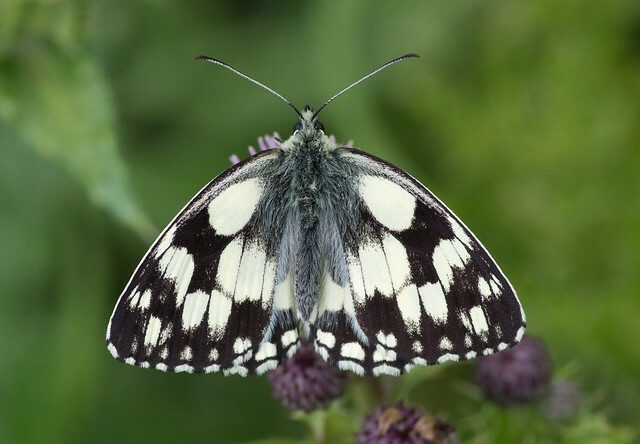 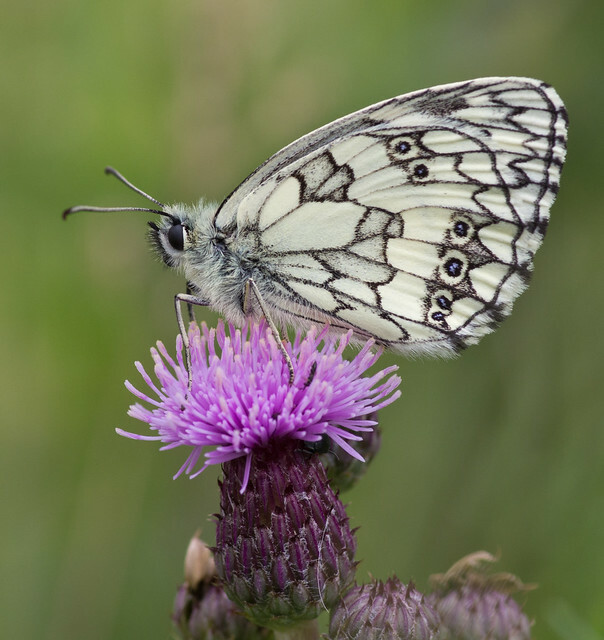 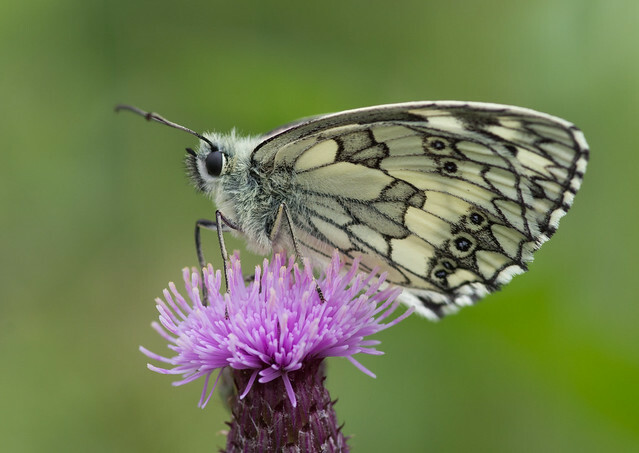 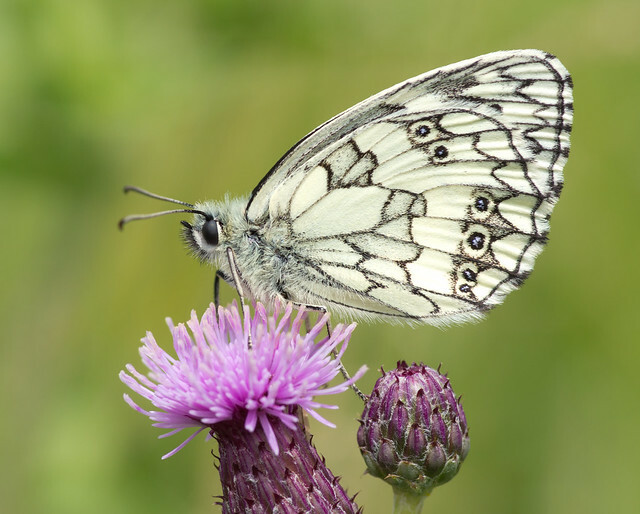 Until this year one species of butterfly that had eluded any good shots was the marbled white. 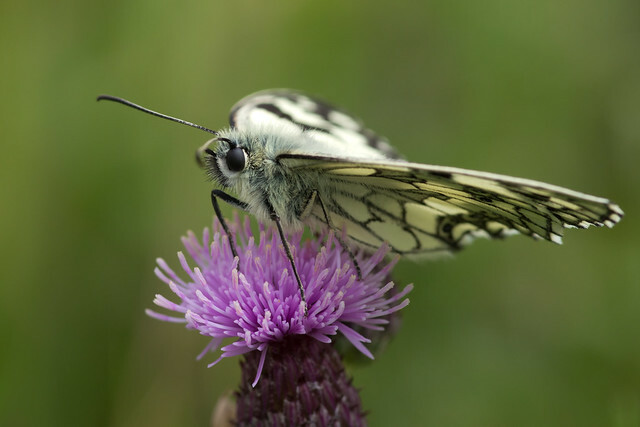 This year I came across one on a knapweed flower in Wat Tyler Country Park. 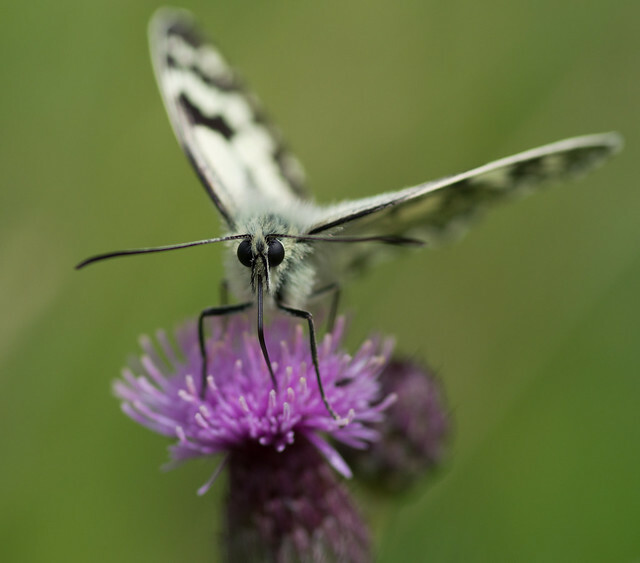 I managed to photograph it as it gripped onto the flower in a breeze. 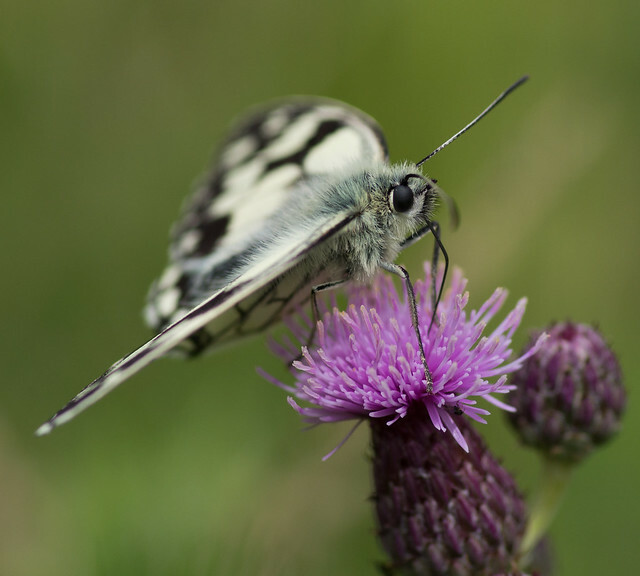 I got various angles between the gusts of wind.